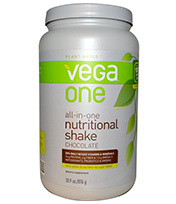 Vega One Nutritional Shake was created by professional Ironman triathlete Brendan Brazier, who is a bestselling author in the performance nutrition niche. 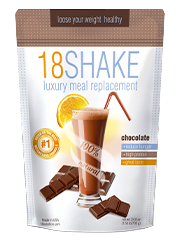 The shake is gluten-free and dairy-free, does not contain soy, and does not have any added sweeteners, artificial flavors, or coloring. What it does contain is a high-quality protein source, vitamins and minerals, and omega-3s. It has a good type of protein and is naturally sweetened. It is a bad appetite suppressant and has poor taste. A major problem with this shake, however, is the taste. We tested the berry flavor and the chocolate flavor, and we agreed that neither were very good. Additionally, there are 7 grams of fiber per serving, yet that did not stave off hunger for long. We were hungry again after approximately one hour. It does not contain good appetite suppressants, which is disappointing. In conclusion, Vega One Nutritional Shake has high-quality ingredients and uses a good protein source, but because of its unpleasant taste, lack of a good appetite suppressant, and excessively high price, we do not believe that it is the best meal replacement shake on the market today. 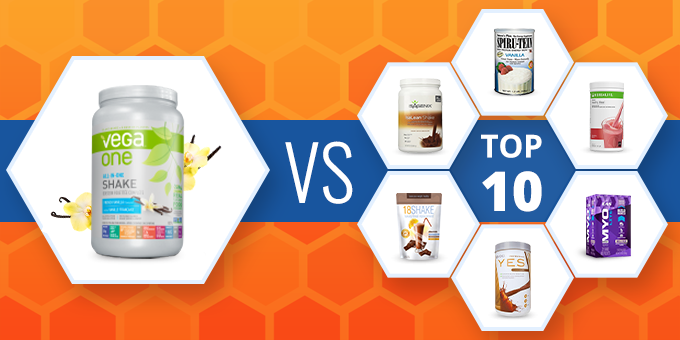 Check out other top rated shakes for a better alternative. Don't really like the taste.